Whether you’re hosting an intimate dinner party or an extravagant wedding, we believe that every special occasion deserves the highest quality of products and customer service. That’s why, at A&B, we carry nothing but the best in rental supplies. 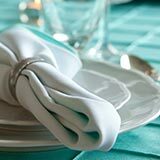 From novelty dinnerware to large party tents, our inventory is always stocked with items that are both in-demand and elegantly timeless. We are constantly updating and refining our catalogue to meet the changing needs of our customers. Quality products. Careful delivery. Memorable occasions. That’s our pledge to you! It all started with a small collection of gardening tools, furniture and catering equipment. Originally a franchise operation under the A-Z Rental name, Fred de Lange founded A&B Party and Tent Rental in 1969. The original showroom was located on Hyde Park Rd. in London, Ontario – only 4 miles down the road from its current spot! Over the years, an inventory of twenty 6 ft. tables and 200 chairs has grown into a vast collection, fit for events with over 3000 people. Now in its third generation of family operation & ownership, A&B has become London’s leading rental supplier. Ready to take your event to new heights? 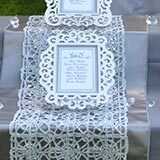 Contact A&B Party and Tent Rental today! For set-up & takedown, our delivery service experts are on time & helpful. We only buy superior party supplies from trade shows & other outlets. 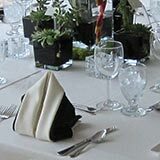 With years of party planning experience, our professionals are here to help. Our fire-retardant tents are tested & setup in safe areas. 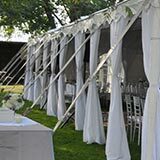 They say you’re only as strong as the company you keep, and at A&B Party and Tent Rental, we work closely with the top event vendors in Southwestern Ontario. Whether you’re hosting an intimate dinner party or an extravagant wedding, we believe that every special occasion deserves the highest quality of products and customer service.